It ia now 08h00 local time. Dietmar is going thru his starting procedures. The hotel was comfortable, the whole of the town 'Iqualuit' and the area has no GSM Cell network, the network we have in Africa or Europe. We sometimes think us in Southern Africa are a bit behind things, well we have News for you: what we have been seeing up till now and it's only the third day, is something else. The Internet set ups too slow, (as you know Dietmar has fits about that) the 4*Hotels and the service, the standards etc etc. And the prices! In Iceland we paid R265 for ONE hamburger...we could have had 4 and a half for that price in CT. And as delicious and......served with a smile. The bottle of red Wine we will not mention here. I am writing this just to remind ourselves what a wonderful life we live in SA. 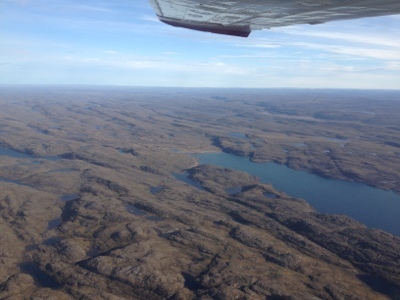 As we arrived at the Iqualuit airport and walked towards the plane we already saw: a large wet patch below the right hand side wing, Fuel. Thank Goodness, only expansion of fuel, we would not have been able to fit in one extra Litre of Fuel. The 5th tank is also full. And the others too. Yepeee, no Immersion suit despite us going over water, we are in gliding distance to the coastline. What a difference, at least we sit a bit more comfortable. Today the first leg 640nm/ 1178km (1nm=1.84km) from Iqualuit over the Ocean, the Northwestern passages and across Hudson Strait. 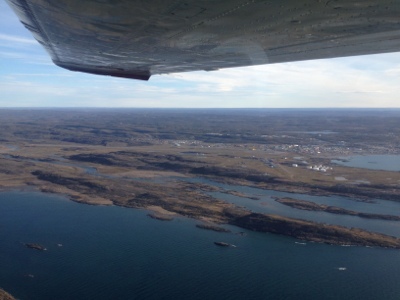 Over and across Southhampton Island to have a technical stop in Rankin Inlet located in the province Nunavut, the most northern Province of Canada on Hudson Bay. 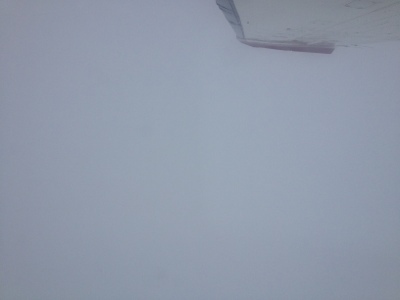 The flight is uneventful so far with -18 degree C outside Temperature, mostly cloudy, sometimes clear, everchanging. We left Renkin Inlet @ 13h45, late for various reasons. First ground control appointed us a wrong parking space and a guy came running, asking very agitated if we had permission to land here, do we not know this is a restricted airport? Do we not know that landing here around lunchtime is prohibited? All we could reply that we had a permission and we are on a flight plan but if he wanted us to move we shall do as we are told. While all this palaver went on the fuel truck proceeded with one of the other group planes and than two further commercial aircraft. We stood in the cold howling wind waiting more or less patiently. 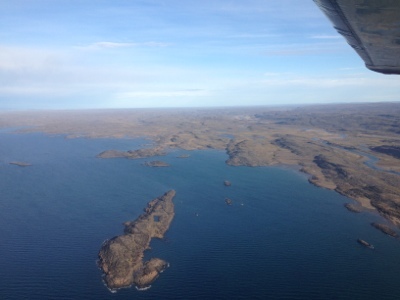 The second leg of he day will take us to a place called 'Yellowknife' situated on the 'Great Slave Lake' in Northwest territories, our overnight-stay. Soweit scheint es eine aufregende Reise zu sein, zumindest als Blog Leser :-) Freu mich schon auf die nächste Nachricht. wir verfolgen, jetzt mit Spannung, Euere Flugreise die mit Abenteuerlichkeiten gespickt ist.Es sind erst 4 Tage, aber wie Ihr das meistert,: Alle Achtung! Wir drücken die Daumen und wünschen Euch, wie im Theater: toi-toi-toi!!!!! !